Unlike most of the picks in our list, a Doctor Strange film is in development and has been for quite sometime, and will probably be released sometime in the future. We know Marvel president, Kevin Feige, is very interested in exploring Marvel's cosmic universe, which is the direction that they taking in Thor 2. We know Guardians of the Galaxy is another cosmic film that is on Marvels radar as well, so it's clear that the cosmic part of Marvel comics will definitely be a main feature in the franchise, and Doctor Strange is a big part of the cosmic side, as well as the mystic side to Marvel. 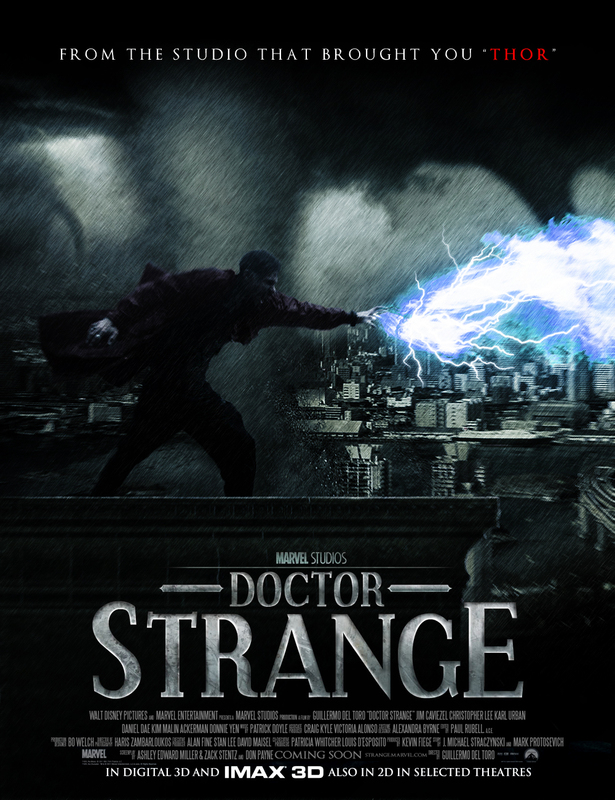 Strange can use magic to achieve virtually any effect he desires, such as telepathy, energy blasts, teleportation, astral projection, the creation of materials (such as food and water), creating planet-wide protective shields. Restoring him from bodily destruction or resurrecting the dead, stopping and reversing time, sealing black holes, absorbing power enough to unconsciously destroy any surrounding galaxies, growing to the size of and merging with universal concepts, and helped to channel the mass of the entire Marvel Universe. Clearly his very powerful, yet his quite a colorful, and a interesting character. We also just want to make a note that Doctor Strange has also put a team of superheroes together, called the Defenders. The Defenders are basically a team of misfits/loner type superheroes that Strange brings together to fight against problems that arise from the mystic side of the universe. So who knows, maybe Marvel will build Defenders into the story or maybe just hint at it. Eric Dane is a good solid actor, which rarely steps out of his comfort zone in terms of the roles he has played in the pass. He does certainly have the look, the acting ability but above all else he has the personality to really give us a good interpretation of Strange. Yes, Strange might be a bit of stretch for him, but at the core Strange is just a kind man, that is willing to help people in need, especially if there problems have a Mysticism origin. This is clearly within Dane's range and we sure he could play strange wonderfully. 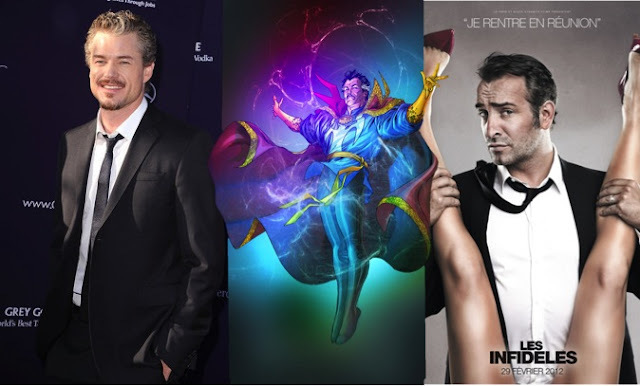 Jean Dujardin as Strange just seems right to us! With Jean playing the master magician, will probably make Doctor Strange, even come off a little more odd, yet with a slight touch of charm and grace that accompanies a well mannered man. Of course Jean has a French accent that the film will have to take into account, but it doesn't matter it will just add to Strange's colorful personality. We already seen that Jean isn't afraid to make fun of himself, but the Artist, showed his ability without him saying a word. We really do think that if Jean is up for the role, he could make it as memorable as seeing Robert Downey Jr. As Tony Stark for the first time. And With Jean playing Strange and possibly teaming up with the Avengers, His scenes along with his fellow cast will really be entertaining and funny. Jean will just be awesome!